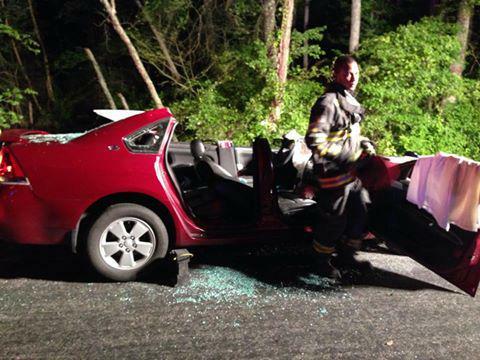 At 22:32 hours the Engine and Rescue were alerted to the Auto Accident at Woodford Road and Rozell Road. The Wagon and the Rescue responded with 7 and arrived on the scene to find 5 patients with one trapped. The Rescue's crew immediately went to work stabilizing the vehicle while Wagon 1's Lineman deployed the Bumper Line. 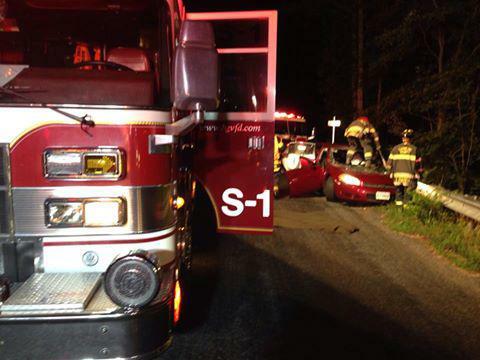 Once the vehicle was stabilized the extrication was started. The Rescue's crew utilized the hurse tools to perform a total side removal to gain access to the patient. The patient was then removed from the vehicle and turned over to awaiting EMS on scene. The Engine and Rescue returned to service approximately 5 minutes later.